Hello and Happy Friday! I don’t know about you, but I’m definitely in the TGIF mood today. We’ve had weddings the past two weekends which were so much fun, but I’m looking forward to a low key couple of days at home. I treated myself to a mani-pedi about 2 weeks ago, and was so disappointed when not even a week later my toes were chipping! I count on my pedis lasting at least a couple weeks, plus we had another wedding to attend where I was wearing open toed shoes. Not really wanting to get another pedicure and not having time to completely redo my nails myself, I stopped by Duane Reade to find an inexpensive color for touch ups. I came across the Sinful Colors brand, where not only did I find a white that matched Essie’s Blanc for my toe touch ups, but I couldn’t say no to this fun color either, it’s called Thimbleberry! The polishes were on sale, 2 for $3. 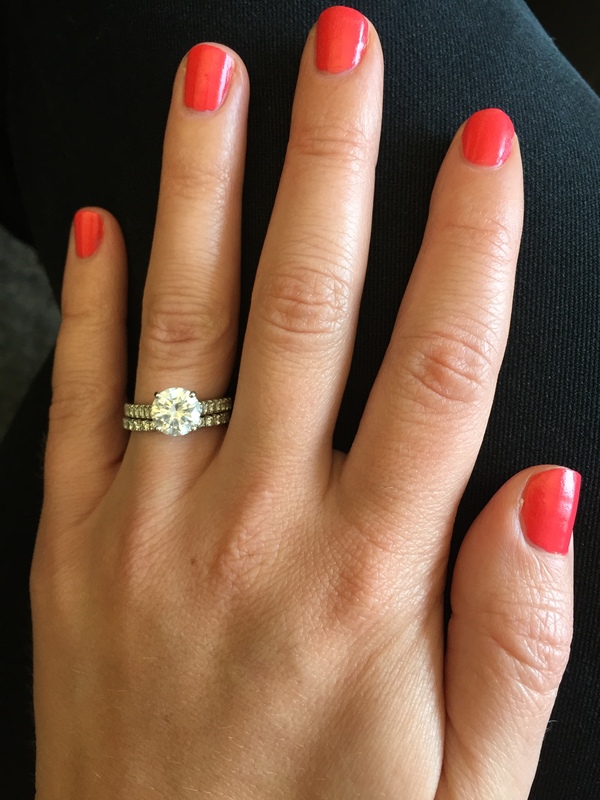 And yes, I know you get what you pay for in terms of the color lasting, but I was so excited to paint my phalanges this bright coral shade this week, even if it did only last a few days. Does anything smell better than fall candles? Seriously. This autumn I can’t be home for more than 10 minutes before lighting a seasonal candle or turning on my Scentsy. I picked up this gem at HomeGoods a few weeks ago. A large Yankee candle for $12! It smells heavenly too. I shared this recipe earlier this week for Spice Roasted Pumpkin Seeds, and let me tell you, I have been aggressively snacking on them all week! I’m still a little bummed that I bought shelled pumpkin seeds, instead of shell on. But I’ll just have to make a new batch soon and try a new recipe to share with you all! This box of Maple Pecan Granola Cereal caught my eye at Trader Joe’s last weekend and hello, I am obsessed. It’s perfectly flavored without being too maple-y. I’ve been looking forward to breakfast all week, it’s a great way to kick off my morning. Make it even better by topping it off with some Vanilla Almond Milk. Swoon. This keeps me full until lunchtime too. Lovely nail color! Happy Friday!